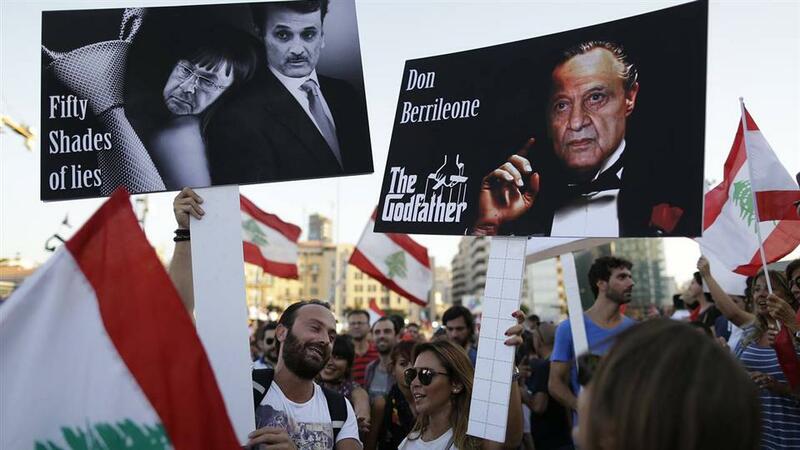 MSc International Development and Humanitarian Emergencies alum, Youmna Cham, suggests how to avoid campaign failure using Beirut’s ‘You Stink’ movement as an example. The ‘Paris of the Middle East’ was the nickname given to Beirut until Summer 2015 – when it crumbled down in trash as our politicians showed a striking unwillingness to solve the scandal. 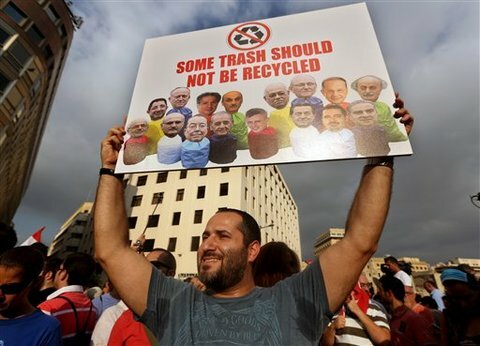 Indeed, the 2015 trash crisis started after Lebanon’s main landfill was shut down. 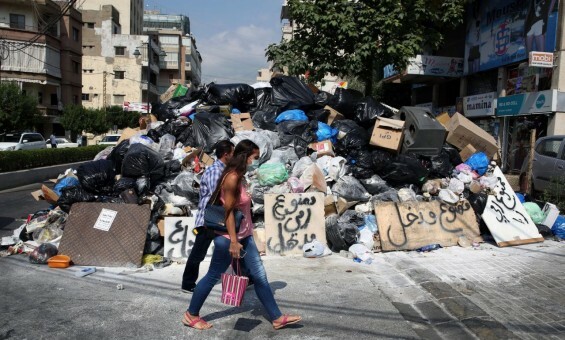 Without any alternatives, and with the contract of the main trash collector coming to an end, mounds of trash started piling up in the streets of Beirut. A nascent opposing social movement called ‘You Stink’ quickly emerged, and became the fulcrum of the protests. The movement was referring not just to the rancid toxic odors emanating from the streets but also to the corruption inhabiting the sectarian political class. Despite the fact that ‘You Stink’ failed to get the government to provide proper waste management solutions, the movement has scored some points against the system. It dared to say loudly that the ‘emperor has no clothes’, and shake the ark of the sectarian power-sharing system, a system lost amid the mazes of its corruption. Have thousands of unachievable goals! Having myriad of utopic goals to be achieved in one minute should be your golden rule to follow. ‘You Stink’ wanted to end corruption, hold elections, have the government resign and ban the ruling political elite from their functions. These could never be achieved with the prevailing sectarianism in Lebanon. The golden rule to follow when the government wants to negotiate: don’t accept! Stay stubborn and preserve your ‘ego’. This is what happened with ‘You Stink’ when they rejected calls from the government. Instead of engaging in negotiations to find a common solution, they rather called the resignation of the government as first condition. Withdraw any strategies for your goals! Having goals without a strategy is the other golden rule to follow. Having utopic goals without clear strategies was the ‘go with the flow’ approach that precipitated ‘You Stink’ to their journey to failure. Don’t make an inclusive campaign gathering people from all socio-economic backgrounds! Make sure you’re focused on the well-educated urban elite. If you ever encounter another movement sharing mutual base defenses but differ on some other points: make sure you stay competitive and avoid partnering. “You Stink” and “We Want Accountability” are striking examples for that. In fact, ‘You Stink’ was dismantled by its weak internal infrastructure incarnated by these 5 ground rules, which were what caused its success to be short-lived. Lebanon is run by a parallel state, a pie-sharing clique that represents the private interests of the political elite rather than the public interest. This parallel state still ruling Lebanon is ready to smash any movement threatening its “clientelist” interests: As a matter of fact, the Lebanese sectarian class used its panoply of repressive methods to eliminate ‘You Stink’ from sight – from physical to verbal violence, claiming that there are Israeli spies and ISIS members among the protestors, and spreading conspiracy rumors like that the movement was an “American product”. Indeed, such use of repressive methods and rife accusations proved the resilience of the ruling system against any reformatory initiative, and its inflexibility to engage in cross-sectarian sociopolitical reforms where the civil society can be a valuable actor. This whole thing went far beyond the trash crisis, and became a David versus Goliath battle where both sides were waging an existential war: On one side, the sectarian regime fighting for the survival of its resilient system that endures on illegal profits and on unaccountable financial gains. On the other side, we had an emerging movement whose purpose was to redress the errors of this system, but due to its irresponsibility, was unable to harmonize and coalesce the unruly voices to achieve its goals. If you were ‘You Stink’ in 2015, what would you do? The first thing that I would have done, would be to draw a new inclusive campaign based on a systems thinking approach. I would have focused on solving the specific issue that was asphyxiating a whole population instead of focusing on the reformation of the political system. Achieving the central goal of finding a sustainable waste management solution to the garbage crisis would have been the long-term goal that I will strive for. By forming a cohesive and strong coalition with other stakeholders, I would have negotiated with the government and engaged in politics, mobilized people from all sects and done everything to solve the trash crisis itself, as opposed to trying to overhaul multiple utopic goals. Always remember, change comes with steps not elevators! Youmna Cham is an MSc in International Development and Humanitarian Emergencies 2017/2018 student, and is currently a research intern at UNDP Project at the Ministry of Economy and trade in Beirut providing support in the planning and implementation of various trade, SMEs and economic policies. 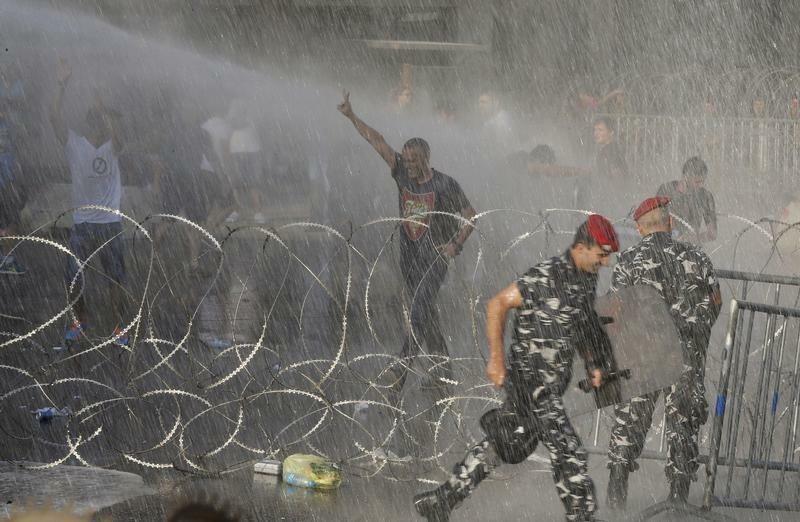 Very insightful analysis on the “طلعت ريحتكم” “you stink” movement in Beitut. The reasons for the failure of the movement are very well summarised and I like how the author engaged with the many dimmensions of social movements. Great read!! Gave me a completely new perspective on the trash crisis of Lebanon. Well structured and very easy to read. I enjoyed it very much. Amazing article!! Really well written 🙂 Thank you for giving Lebanese people a voice!! We’ll write article and very insightful. It truly gives a new perspective on the mater ! Sad but very true…This article indeed describes the failure of a movement which had the potential to make unprecedented changes in the structure of the Lebanese government in an amusing and funny way..Thumbs up! This is a very interesting piece which is evidently written by someone who is passionate about Lebanese politics. There’s only one main bone of contention here. If the article is intended to be read in a “lesson’s learnt” manner then ignore the following: while the main insights of the piece remain valuable, I wonder if these are general pieces of advice which could be applied to any social-group endeavour, and subsequently lose value in relation to this particular case? In many respects, probably owing to space restrictions, the article fails to empirically substantiate these pieces of advice to the ‘You Stink’ movement in particular. Moreover, the author fails to acknowledge in the last paragraph the gift of hindsight, suggesting courses of action which could have led to greater longevity on the groups behalf. It is rather too easy to retrospectively say one should have done this or that once the mistake was made. This is a sharp, objective, idiosyncratic and highly distinctive article on a subject – alas perennial in today’s sociopolitical environment – that is affecting the health condition of both urban and rural Lebanese populations – regardless of their affiliation, and who are living on the brink of asphyxiation. This is undoubtedly one of the most insightful and comprehensive analysis of the You stink movement I have ever read. The article’s strength is that it provides a multidimensional explanation of the movement, and its inherent shortcomings and weaknesses. Youmna Cham offers a framework of analysis that could be applied to other social movements and citizen-driven initiatives around the world.